The scenic town of Sherman is located in the Housatonic Valley at the northern end of Candlewood Lake, north of Danbury on the border of New York. Sherman is a rural community of 23.4 square miles with a historic downtown listed on the National Register of Historic Places. With a population of 4,106, it is the least populous and northern-most town in Fairfield County. 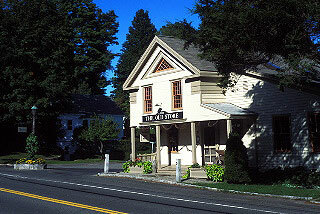 The town is accessed by state routes 39, 37 and 55, and is approximately 70 miles from New York City. Contact The Matthews Group at 860-868-0511 with any questions or to schedule a private tour. Time Saving Tip: Sign up for a free account to save your favorite listings and get notified when new properties match your criteria. Kimberly estates is a fully approved and documented 6.25 acre subdivision in the northern part of sherman, ct, which is the very tip of fairfield county. All the application and zoning approval work has been done for you. Approved to build two homes with 4+ bedroom septic each. Perhaps a secluded mini estate is what you are looking for. Easy ny commute from route's 22 & 55 from ny or just off route 39 north in sherman. Come walk the property with us so you can fully understand and appreciate the beauty of this property. Maps, surveys, perks & deeps. *property is not visible from the road* close to rivers oaks golf club & candlewood lake. Private country setting. Candlewood lake estates - private gated lake community Access to 4 beaches (2 on candlewood lake) (2 on magical green pond) Will remind you of being at camp! Incredible country home with custom gunite swimming pool perfect for relaxing or entertaining. Located within the River Oaks Golf Club with resort quality amenities. This large and tastefully furnished 4 bedroom, 4 bath home has all the amenities. Private pool, BBQ grill and expansive patio area. Mint condition and fully equipped home includes well appointed kitchen, bedrooms and baths. Additional access to fitness center, premiere 18 hole golf, country club, restaurant, tennis, etc. Just 90 minutes to NYC. Available for June and July for $16,000/month. 100' frontage on magical Green Pond a/k/a Emerald Lake. CANDLEWOOD LAKE ESTATES - private gated lake community with access to 2 Beaches on magical GREEN POND - Bring Your Canoes & Kayaks for total relaxation/as well as access to 2 Beaches and Boat Ramps on CANDELWOOD LAKE - Bring your Motor Boat/Sailboat/Jet Skies. This area will remind you of the movie "On Golden Pond"! Treetops Arts & Crafts Contemporary w/wrap around Deck and covered porch area. Easy Living-Open Floor Plan. Flexible Rental Dates but not for less than a month. Incredibly charming stone cottage on Candlewood Lake - beautiful interiors and furnishings, large stone patios and walkways, private lakeside terrace and dock. Open floor plan, stunning lake views, serene setting in a no-wake zone. Radiant heat in bedroom level and split system (Mitsubishi) heating/ac on each level. Wood flooring, vaulted ceilings, skylights, wraparound deck and terrific screened porch. Small, but choice - a true gem of a house and location. Sleeps up to four comfortably. Available Memorial Day through Labor Day for $27,000, or $10,000 for June, July or August. FURNISHED SUMMER RENTAL ON CANDLEWOOD LAKE, Enjoy gorgeous sunsets views from the large deck on this Charming Direct Lakefront home located in Candlewood Lake Estates which is a private gated lake community that offers 4 Beaches 2 on Green Pond and 2 on Candlewood Lake. This home is nestled in the sought after town of Sherman on Candlewood Lake & within minutes to the NY state border offers fabulous western views of Candlewood Lake and Green Pond. New updates include: updated kitchen, gleaming hardwood flooring throughout the 1st level, Spacious living room with wood burning fireplace. The home features 3 bedrooms and a possible 4th, 2 baths and Garage, Laundry on premises, Steps to the water! A home for all seasons. Summer on golden Green Pond! Beautiful views, your own dock, and a charming 2-bedroom cottage with all the comforts. $14,000 for the season -- Memorial Day-Labor Day - 5/25-9/3. Or $5,000 a month, with a 2-month minimum. Lots of privacy, and peaceful Green Pond, aka Emerald Lake, means no motorboats. The open living room with dining area and eat-in kitchen share a wood-burning fireplace and a Mitsubishi split system for air conditioning and heating. Both bedrooms also have split systems with heat and air conditioning, and there's one full bath. Full deck overlooking the pond for relaxing or entertaining. Pet friendly - just ask. An ideal retreat in a great location - canoeing, kayaking, walking trails and access to other Candlewood Lake beaches. Minutes to the historic and quaint village of Sherman with its own beach, lake access, tennis courts -- and close to Metro North trains and New York City. Make it a summer to remember. Redone Antique Colonial, Center Of Town, New Appliances, Bath, Roof, Paint. Long Term Possible Call For Details 3-4 Bedrooms, Living Room, Family Room, Office, Huge Enclose Porch. Great location, convenient to school, lake, parks, restaurant, shopping. Also available as commercial rental or possible mixed use. Call for more details. Good credit and references only!! No smoking. Ask about pets. Won't Last! Owner/Agent. Office or Retail. Great traffic and exposure/visibility. Next to busy American Pie Company and Post Office. Redone Antique Colonial, Center Of Town, New Appliances, Bath, Roof, Paint. Long Term Possible Call For Details 3-4 Bedrooms, Living Room, Family Room, Office, Huge Enclose Porch. Great location, convenient to school, lake, parks. restaurant, shopping. Also available as RESIDENTIAL rental or possible mixed use. Call for more details. Good credit and references only!! Won't Last! Owner/Agent.